Then SIGN UP and REGISTER for this workshop NOW! your very own framed vision board! What is a Vision Board? Why do I n﻿eed one? As seen in the hit movie The Secret, The Oprah Winfrey Show and CNN's Larry King Live, a Vision Board is a simple yet powerful tool to focus your intentions and to attract the life you want! 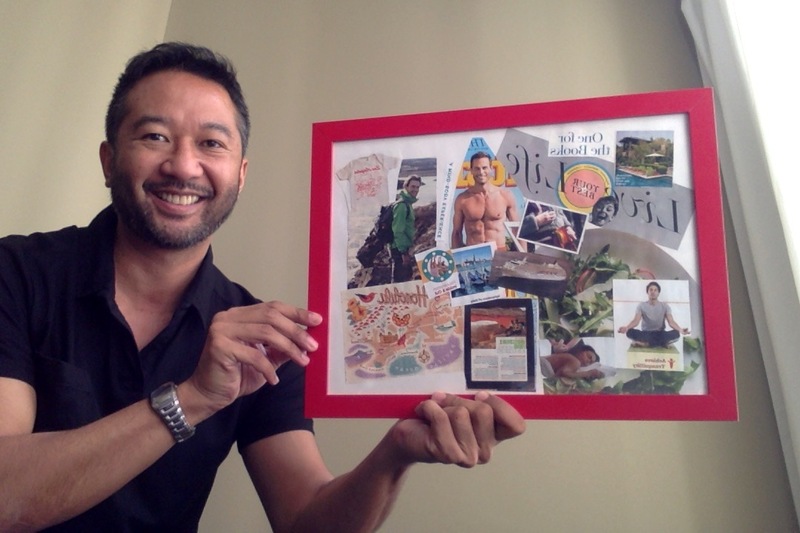 A Vision Board is also known as Dream Board, a Treasure Map, Visual Explorer, and a Creativity Collage. It is a simple visual presentation of things that you want to have, be, or do in your life. But as simple as it may seem, it is one of the most powerful tools for creating the life or business you truly want. This is not your typical workshop where you'll hear a speaker drone on and on while you take notes. And this is not an arts and crafts event where you would create something without any guidance. This is a HIGH ENERGY, EXTREMELY FUN and CREATIVELY TRANSFORMATIONAL workshop that you will talk about for a long time! There are specific methods that we will teach you to create your vision boards in a deliberate, intentional approach and we will show you what you need to do AFTER you create the vision board to bring your intentional energy to a higher level. Learn how to energize your Vision Board daily! Bring a few of your favorite magazines that you are willing to cut up and share with others in the workshop. Bring pictures of you, your loved ones, and other images and words that inspire and energize you (but make sure you're willing to cut and paste them onto a board). If you have them, bring some scissors and glue sticks. And bring your desire to have the best time ever! You will receive an actual framed board that you can take home with you. Additional magazines, scissors, poster paper and glue will be provided for you to assemble your Vision Boards. You may feel free to bring your own posterboard and frame if you'd like. You will also get handouts and worksheets that will help you to stay focused and in action after the workshop. Light refreshments will be served. Early bird pricing for this workshop is $30 through March 22. Advanced pricing is $35 from March 23 through April 12. After April 12, the price is $40. NOW! Because of space limitations, this highly popular workshop has limited seating. Register early to reserve your spot and get a savings on the pricing! The workshop fee is nonrefundable but is transferrable to another person for this same event date. Register to guarantee your spot today! Limited seating is available so please make sure to register early! Joselito Laudencia is a Spiritual Life Coach and Centers for Spiritual Living Licensed Practitioner. For over 25 years, Joselito has led successful organizations and efforts for the spiritual transformation of the planet. He served as the Founding Executive Director of Californians for Justice and later as the Executive Director of the Asian Pacific Environmental Network. He regularly teaches accredited classes and workshops that promote spiritual practices for prosperous living. He recently completed his Master of Divinity at the Pacific School of Religion, part of the world-renowned Graduate Theological Union in Berkeley, CA.